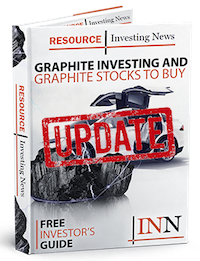 Zenyatta Ventures (“Zenyatta” or “Company”) (TSXV:ZEN) announces testing results from the Tokyo Institute of Technology (‘Tokyo Tech’) in Japan have identified key reasons for the ease and high-yield conversion of Albany graphite to graphene. One of the greatest challenges for commercializing graphene in various applications, since its discovery at the University of Manchester, is how to produce high-quality material, on a large scale at low cost, in a consistent manner. “Zenyatta’s high-purity graphite material was tested by our scientific team on mechanical conversion to graphene and discovered it converted much easier and with higher yields of graphene than our reference material.